Single and dual channel are optional. Pharmed BPT long-life tubing from French Saint-Gobain is installed in internal part of pump head. Applicable motors for Minipump are stepper motor,DC motor,AC motor and other models to drive with wide applications. Discharge condensate water in the flue gases survey meter. 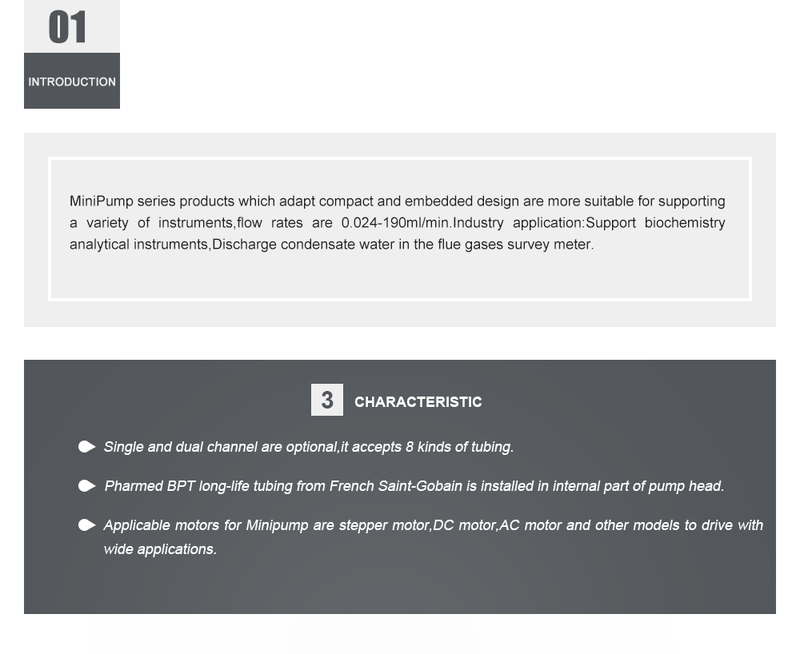 MiniPump series products which adapt compact and embedded design are more suitable for supporting a variety of instruments,flow rates are 0.024-190ml/min.